You have a lot going on in your life. We know. Let us help you lighten the load by providing you with a number of available options of affordable, efficient cars that won’t leave you yearning for more. The Toyota Corolla is a great vehicle and has stood the test of time, as it has been around for more than 40 years. For the new model year, the 2015 Toyota Corolla Brampton ON upped the ante with its more spacious cabin, its advanced technology features and its extremely efficient engine. The new Corolla is available in four trim levels, all of which are driver-focused, meaning designers and manufacturers thoughts centered around the driving experience of the 2015 Toyota Corolla. The Corolla is a great vehicle for any type of driver. It is reliable, affordable and has the stamp of approval from drivers who have trusted it with their families for a number of years, and will likely be around for years to come. The 2015 Toyota Corolla is available right now at Attrell Toyota and is waiting for you to take it on a test drive! You can see all of the available colors and trim levels in our inventory by clicking the button below! The spritely Corolla is one of those vehicles that you just can’t get out of your head after you take it for a spin. Sure, there are comparable vehicles out there, but nothing quite like the Corolla. The 2015 Toyota Corolla comes standard with a 1.8L engine that makes up to 140 horsepower and gets up to 7.7L in the city and 5.6L on the highway*, which is unbelievably efficient for a non-hybrid engine! Drivers will enjoy spending less time and money at the gas pump with the 2015 Toyota Corolla, which is something we take enormous enjoyment with: giving families more time to make memories. The 2015 Toyota Corolla has enough seating to fit five comfortably. It comes standard with 15-inch steel wheels, but has available 17-inch aluminum alloy wheels. Also standard are power, heated exterior mirrors, LED headlights, a remote fuel lid release and whiplash-injury-lessening front seats. With a starting MSRP of $15,995**, it is easy to see why the 2015 Toyota Corolla is such a popular option for drivers this model year. Between the four trim levels, drivers will find a slew of fun features that are completely centered around making the driving experience positive for both drivers and passengers of the midsize sedan. 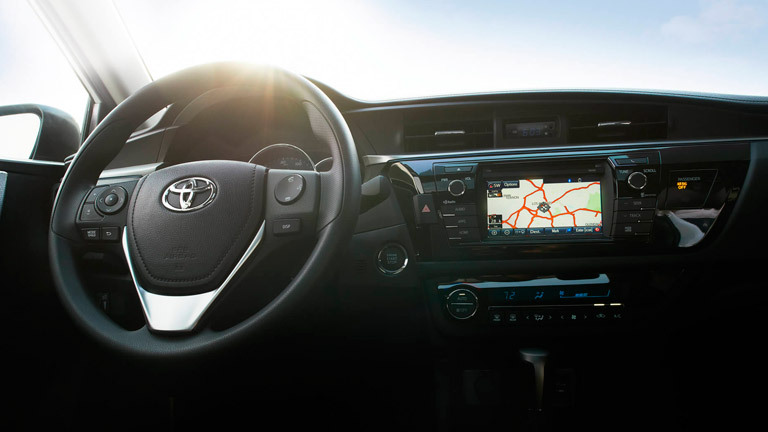 Some of the fun features that are included in the 2015 Toyota Corolla are steering wheel-mounted controls, Bluetooth connectivity, an available rearview backup camera, an available 6.1 display infotainment system, an available power tilt and slide moonroof and a slimmed down back seat. 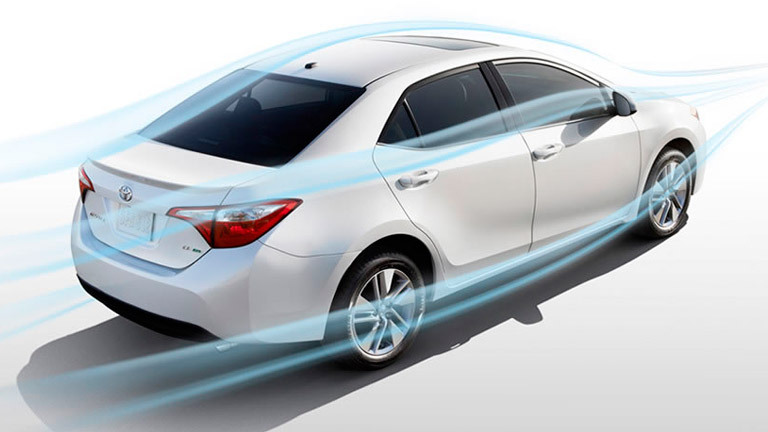 Other fun features of the 2015 Toyota Corolla include automatic dual-zone climate control, 6 available speakers, a traction control system and a vehicle stability control system. Test out the 2015 Toyota Corolla today in Brampton ON at Attrell Toyota!